R Baby’s programs are saving lives. “The R Baby Foundation Simulation Program came to our hospital and offered their program to anyone who wanted to participate. 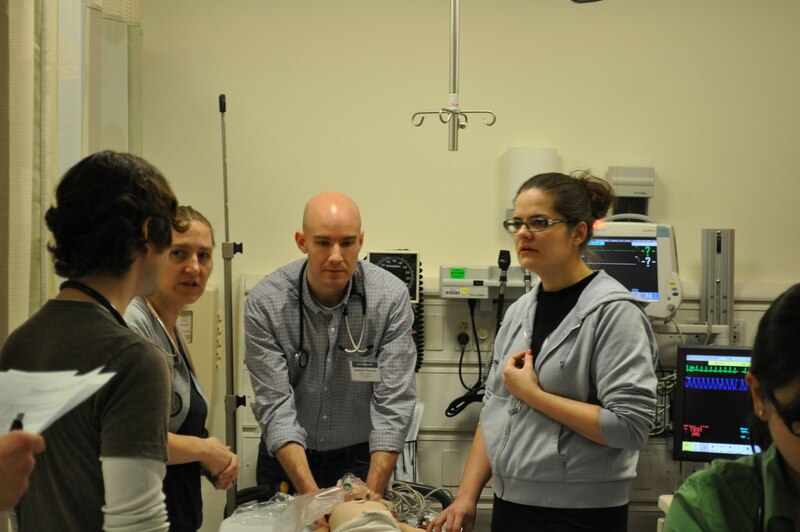 The program was a fantastic simulation and instructional course for the treatment of critically ill children. But, more importantly, is what happened later that day. I was working in another Emergency Department when an 18-month-old boy, who had been sick for about a day and a half, was brought in by his mother. He had a very fast heart rate and had a fever. He was not responding appropriately. He appeared ill.
to my previous training, I utilized the information and procedures reviewed in that day’s R Baby class, specifically the administration of fluids, the constant reassessment of vital signs and the supervision of the Emergency Department Team’s care. After hydration of the patient by protocol, his rapid heart rate spontaneously resolved. A few short seconds after that his eyes opened, he became more responsive and he smiled when he saw his mother.